Coker Group’s book publishing division has significantly expanded and matured in recent years, culminating in many books and several series, and almost all of our books, including the popular Practice Success! series, have been updated to second editions. To view some of our most recent work, see below and click through to any that may interest you! 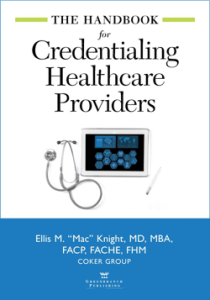 This handbook enables your organization to systemize the tedious, ongoing, and mandatory process of credentialing your medical staff – and to understand why you must! With pressures mounting to succeed in physician alignment projects, there is confusion about alignment alternatives, expense of investment involved, and understanding of accountable care era payment systems. Physician Alignment: Ensuring Success with Negotiations, Payment Systems, and Education of Stakeholders, a new book by the experts at Coker Group, will help you evaluate and assess options, identify critical success factors in thriving alignment models, and help you with strategies for improving an existing relationship, salvaging a struggling relationship, or terminating a failing relationship. With Physician Alignment: Ensuring Success with Negotiations, Payment Systems, and Education of Stakeholders, you’ll gain a level of comfort with strategies and negotiations as you work on your physician alignment projects. Everything you need to know about writing, creating, and updating your medical practice’s policies and procedures is available in the new AMA book, Policies and Procedures for a Successful Medical Practice by Kay Stanley. 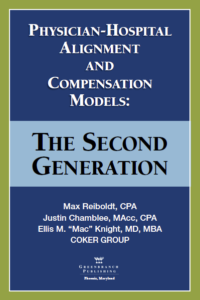 Greenbranch Publishing announces the Second Edition of RVUs at Work: Relative Value Units in the Medical Practice, a practical print (and ebook) by Coker Group’s Max Reiboldt and Justin Chamblee that gives medical practices breakthrough control over costs, compensation, productivity, managed-care contract negotiations in light of new accountable care scenarios. Now, in the book RVUs at Work: Relative Value Units in the Medical Practice, experts from Coker Group give practice administrators and physicians step-by-step guidance on how to use RVUs to gain profitable new control over physician productivity, costs and expenses, operating margins, resource allocation, compensation and even managed-care contract negotiations. The Healthcare Executive’s Guide to ACO Strategy is the first comprehensive book dissecting the integral components of ACOs from physician, provider, and payer views, including analysis of the CMS final regulations. In the wake of healthcare reform, ACOs continue to emerge as the care delivery and reimbursement model of the future. Get the book that provides specifics on incorporating accountable care structure and strategy into your organization so you can enter the ACO era prepared and positioned to succeed. Whether establishing a solo practice, joining a group, or purchasing an existing practice, this comprehensive resource from the American Medical Association (AMA) provides in-depth information on the fundamentals of strategic practice management and future planning for the medical practice. Contemplating selling or closing your medical practice? Would you like to know the value of your practice in order to assess your market position? Valuing, Selling, and Closing the Medical Practice helps you appraise the value of your practice while broadening your knowledge of the most appropriate models and methods to use in the dissolution of your business. Regardless of where you are in your journey on the road to EHR, the Complete Guide and Toolkit to Successful EHR Adoption will walk you through the process in a practical, easy-to-follow way, with proven strategies to ensure success. An EHR transformation will touch virtually every aspect of your practice and bring about an entirely new way of thinking and doing business. The benefits far outweigh the cost of doing nothing, which includes the risk of becoming technologically isolated from consumers, payers, and others in the health care community. While no system is perfect, and no time will ever be the perfect time to adopt EHR, most agree that health care must be automated to meet future challenges. 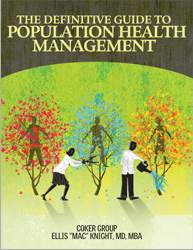 An invaluable tool designed for successful financial management and planning in the medical practice, Financial Management of the Medical Practice, third edition, simplifies the financial planning process while establishing a foundation for making informed decisions in developing and maintaining financial systems to ensure a profitable practice.